Get your full report ready within minutes of completing the measurement. Just open the Sound Reporting Tool with Microsoft Excel and load the data file from the XL2 Sound Level Meter. The tool extracts all available data such as measurement date, start time, etc. and generates sound level charts. The entire measurement period is graphed with the relevant sound levels and legal limits where appropriate, allowing you to visualize the sound levels at a glance. The report page shows the level summary. Now simply fill in the pre-defined fields with name and event details, and your measurement report is ready. 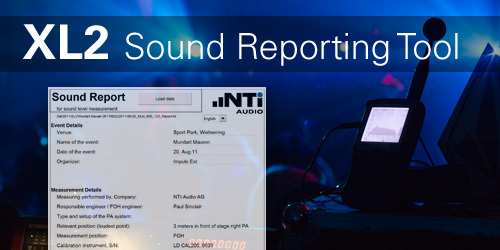 Download the Sound Reporting Tool here.